CITT Executive Director Thomas O’Brien served as a panelist during the webinar titled “Advanced Technologies and the Impact on Transportation Industries: a Workforce Conversation.” Taking place on December 18, 2017, the webinar addressed the rise of transformational technologies in the transportation industry and the increasingly challenging demands these technologies have on public and private sector agencies, businesses, and institutions. The webinar was moderated by Ferdinand Risco, Assistant Executive Director, Transit Authority of River City, Louisville and Vice Chair, American Public Transportation Association (APTA) Workforce Development Committee. Panelists discussed the current status of the transportation industry, including trends and skill gaps, and the future of the transportation industry in light of advancing technologies. The presenters also discussed the importance of educational partners and their role in helping create qualified employees into the workforce. Thomas O’Brien, Executive Director, CSULB Center for International Trade and Transportation; Director, Southwest Transportation Workforce Center. 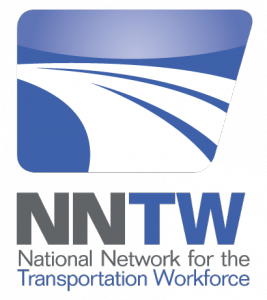 Co-sponsored by APTA’s Workforce Development Committee, the Transportation Research Board (TRB) Standing Committee on Education and Training, and the National Network for the Transportation Workforce (NNTW), this webinar was the last installment in the yearlong series focusing on career pathways.